Reduce our carbon footprint. Reduce our energy use. Reduce pollution. Become more energy efficient. In 2013, the Park Authority Board adopted the county’s energy policy, confirming a commitment to promote energy efficiency and conservation. Next came a plan to develop and implement an energy management program for park facilities. We’re executing that plan now by monitoring our energy consumption, improving our facilities, and reviewing those improvements to track their effectiveness. We named an energy manager to oversee the changes. We invite you to look inside the Park Authority to see what we are doing to reduce our energy consumption, which protects your county resources and reflects responsible use of finances. Let’s start with lights. Many parks require lighting for large indoor and outdoor spaces – ball fields, tennis courts, RECenters, and so on. These spaces present opportunities to drastically cut energy use and promote energy efficiency. We’ve upgraded lighting and control systems that, in some places, have cut energy use more than 70%. New equipment and updated amenities are the most visible changes county residents will notice, and we’ve heard from some regular visitors that they love the improved lighting. We love the energy savings and cost avoidance that ranges from 45% at athletic fields up to 75% at some indoor pools and gymnasiums. Other examples of energy improvement projects include Variable Frequency Drive systems installed for pool pumps and web-based, smart irrigation systems installed at parks. Both the county and park boards and management teams support these projects, and the County Environmental Program has funded some energy management projects to enhance environmental benefits. Upgrading facilities will advance the Park Authority’s energy efficiency. The FCPA also is moving toward automated control for HVAC systems to monitor and optimize energy usage. Incorporating more solar systems where feasible is a part of plans for future energy projects. The FCPA is a leading steward of the county’s resources. We know we have an impact on our community, and we take that seriously. Energy-efficient programs maintain the beauty of the parks and protect natural resources. For example, the outdoor lighting upgrades are all Dark Sky compliant, which means minimal light pollution to surrounding areas. We hope we set an example that our fellow residents will follow when they take on home projects such as changing outdoor light fixtures on their homes. Imagine the incredible impact on light pollution across Fairfax County if every individual homeowner and individual business would follow our lead and install Dark Sky compliant lighting on their own small parcel of land. New energy-efficient projects will roll out in the future. In the planning stages are improved athletic field, court and parking lot lighting and controls, water usage monitoring systems for RECenters, automation control for RECenter HVAC systems, the purchase of energy-efficient lawnmowers, and other building and facility updates. These myriad projects will reduce our carbon footprint, our energy use, our pollution, and improve service to facility, park and RECenter guests. Those of us who work at the Park Authority are dedicated to developing an energy management program for park facilities. Energy efficiency, better lighting, and more efficient air and pool temperature controls. Less energy use. Less pollution. We’re taking care of your resources and our planet. This entry was posted in Uncategorized on January 24, 2018 by Fairfax County Park Authority. I always expected to have a large yard in which to grow flowers, vegetables and herbs. I envisioned a small lawn and designing designated spaces for planting. There would be a kitchen garden near the door with herbs for cooking, a cutting garden in a sunny area so the house would have fresh flowers, a rose garden with fragrant David Austin old roses, and perennials throughout serving as the garden anchors and offering winter interest. It was a nice daydream. Living for more than 35 years in a Fairfax County townhouse, I’ve had very limited planting space. Yet I still have a garden filled with herbs, some vegetables, and lots of perennials and flowers. It’s become a lush garden, and it remains a work in progress. The garden is filled with hanging planters, plant towers, containers and trellises. In creating a garden in small spaces, you must have good design and be creative. Each spring, I plant annuals for seasonal color. I use containers and choose plants wisely. I might put an evergreen in a flower pot and then add annuals to it in the summer. I plant herbs with flowers both in the garden and in containers. I use walls, fences and trellises for perennial vines that soften the town house, add interest, and give bursts of color in spring and summer. I’m always on the lookout for unusual ways to plant. I recently saw an adorable dog house with its roof planted in creeping fig (Ficus pumila). I immediately planted one to cover a bench where no one sits. The fig spread quickly. A favorite vine is a native passion vine (Passiflora caerulea) that rewards me with yummy yellow fruit every fall, and the late summer flowers are spectacular. A wall shared with a neighbor is covered with Boston Ivy (Parthenocissus tricuspidata). This is not a true ivy. It has shiny green leaves in the spring that turn magnificent shades of red and pink in the fall. I’m a big fan of gardener, author and photographer Derek Fell, who has an award-winning garden of flowers, fruits, and vegetables. One of his many books, Vertical Gardening: Grow Up, Not Out, for More Vegetables and Flowers in Much Less Space, offers recommendations for the best climbers for space-saving, and I have successfully followed his suggestions. You can garden anywhere. Be creative. Try things. My grandfather gardened on a fire escape in New York City in the 1930s. There are many space-saving solutions – in shutters between slats, between pavers, in a frame, on a chair, in the middle of a table as a living centerpiece. Use imagination, and plan your spring garden. Author Gioia Caiola Forman is a Green Spring Gardens Master Gardener and a board member of the Friends of Green Spring. Green Spring Master Gardeners host their annual Eco-Savvy Symposium promoting sustainable and ecologically sound gardening on Saturday, February 17, 2018, at Green Spring Gardens. Author Derek Fell and Thomas Schneider, Executive Director of Rooftop Roots, will be among the speakers. For more information or registration call 703-642-5173. This entry was posted in Uncategorized on January 12, 2018 by Fairfax County Park Authority. The parks, forests and clean drinking water of Fairfax County are under siege from something called encroachment. In response, the Fairfax County Park Authority created the Park Encroachment Education Project. This project, seeking to instill a sense of stewardship in a new generation, calls on Fairfax County students to raise awareness about the damage caused by encroachment. The project goal is to encourage young people to monitor and prevent encroachment in their communities. Volunteer organizations such as the Lake Braddock Going Green Club already are involved with the effort. 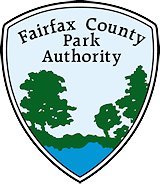 The Fairfax County Park Authority’s website notes that people encroach by building structures, mowing to extend yards past property lines, dumping yard waste and garbage, or blazing new trails outside of the trails system established by the Park Authority. “We hope to reach neighborhoods and local communities on a personal level, and we recognized that students with out-of-the-box ideas would exponentially spread the word to our neighborhood families,” she said. Schauer’ s team created an online tool, the Find Your Borders Mapping App. This free app allows anyone to enter their Fairfax County address and see a satellite picture of their home. Overlaid on this image are approximate park boundaries and property lines for the entire county. Schauer also encourages kids to share this app with their friends, parents and neighbors and tell them about the impacts of park encroachment. The county’s best hope of resolving environmental issues like encroachment is “to ignite the passion of students to support the cause and strengthen our ability to change public opinion,” Schauer said. Try the Find Your Borders Mapping Application. Learn more about parkland encroachment by visiting the Fairfax County Park Authority’s website. For more information call the agency’s Park Operations Division at 703-324-8594. Author Lauren Delwiche is a seventh-grader at Lake Braddock Secondary School. A version of this article was originally published in the November 2017 issue of the Lake Braddock Middle School student newspaper, The Bruin Times. This entry was posted in Uncategorized on January 10, 2018 by Fairfax County Park Authority. You’re looking for a healthier you in 2018. A better diet is part of your resolution, and maybe some Fairfax County youth can show you the way. This tale’s roots are in October 18, 2017, which was a great day for some Fairfax County kids. It was a pretty good day for Fairfax County agriculture, too. October was National Farm to School Month, and that meant opportunity! Floris Elementary School, Frying Pan Farm Park, and Fairfax County Public Schools (FCPS) teamed up to bring local food to local kids. Here’s how it worked. October 18 was a crisp Wednesday morning, and the weather allowed for easy harvesting conditions at Frying Pan. A five-gallon bucket full of beautiful lettuce, a half-bucket of shiny green peppers, an armload of bright yellow summer squash, and more carrots than one person could carry were gathered. That was enough food for a bundle of students in grades one to six at Floris Elementary to sample all they wanted. Christie St. Pierre of the FCPS Office of Food and Nutrition Services helped Frying Pan Historic Farm Educator April Schmidt wash and chop the fresh produce in the school’s kitchen. Floris Guidance Counselor and Green Team Leader Sarah Dekramer prepared a cafeteria table with signs and serving supplies. Ms. Dekramer created the Floris Elementary Green Team as a student club that, among other green tasks, tends to and harvests from a garden at Frying Pan, which is not far from the Herndon school. During each grade’s lunchtime, Green Team members stationed themselves at the serving table and gave a sample of fresh veggies to any students who lined up for a taste. Kids kept coming back over and over for more veggies, and the Green Team members clearly enjoyed passing out tasty food they helped grow. So, youth showed the way. When folks say “kids will not eat veggies” just show them these photos. Then take the next step. Now it’s your turn to get healthier. Author April Schmidt is the Historic Farm Educator and Kidwell Garden Coordinator at Frying Pan Farm Park. This entry was posted in Uncategorized on January 3, 2018 by Fairfax County Park Authority.